A special version of Eksa, finally delivered. The filters are similar to the ones in our mastering controller. No OP amps, just class A JFET buffers. OK, it was not fair. But it was interesting. 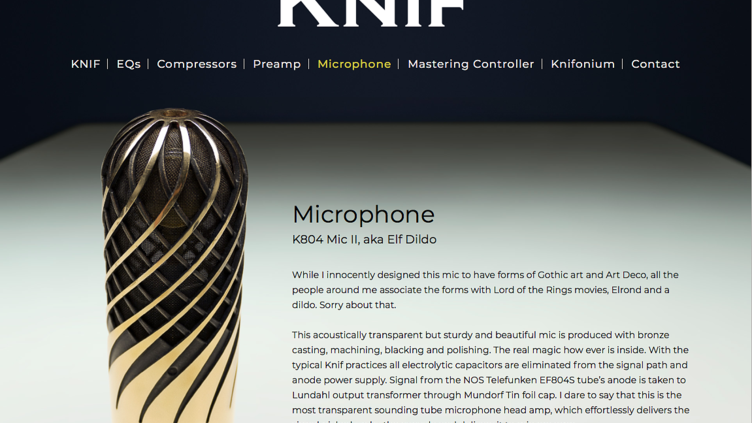 We had a couple of hours of comparison between Genelec 8351 and Knif Rauman No1. Although it was obvious pretty soon, that Genelec was not very good in any respect, it was actually much better than I anticipated. The biggest problem is the weirdly annoying mids/low treble. Other differences, easy to notice, were in realism, transient response, stereo image and depth, all favoring the bigger beast. But let's not forget that Genelec is portable and cheaper. The most interesting questions to me are: What causes the slight lack of resolution and realism and the annoying tonal character? I don't claim to have the answer, but lets take a look at the distortion spectrum. It reveals some things. Note that this measurement was taken at a very low level, and I was in fact not expecting to see much. How ever, we do see very clear peaks, which correspond to the break up modes of the drivers. For example mid driver has break up mode at 6k, and thus it boosts the third harmonic at 2k. It does not boost 2nd harmonic at 3k, because it is crossed over below that. We also see the 2nd and 3rd harmonics of the treble driver at 15k and 10k (break up mode at 30k) and 2nd and 3rd harmonics of bass driver at 400Hz and 270Hz (break up mode at 800Hz) Let's also take a look at the time domain. Step response is, let's put it mildly, interesting. It seems that the X-over between mid and treble is very steep (steeper than 24dB/oct), which causes a lot of spread in the step response. How audible this is, is probably still not fully understood, but since the speaker doesn't sound very convincing, perhaps this is one of the reasons.